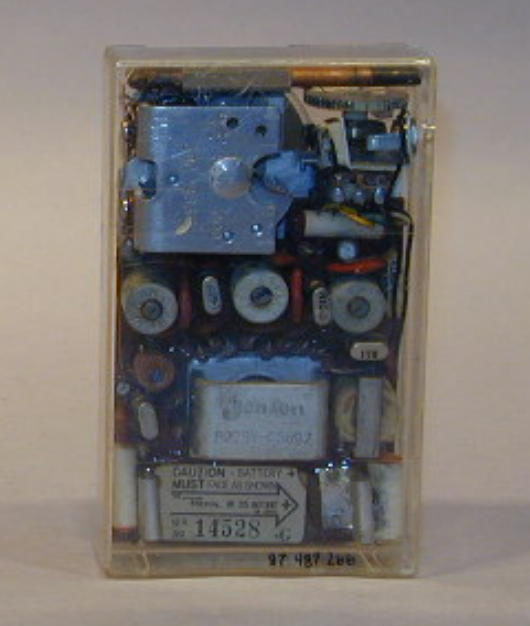 This radio, S/N 14528, is an early production model. 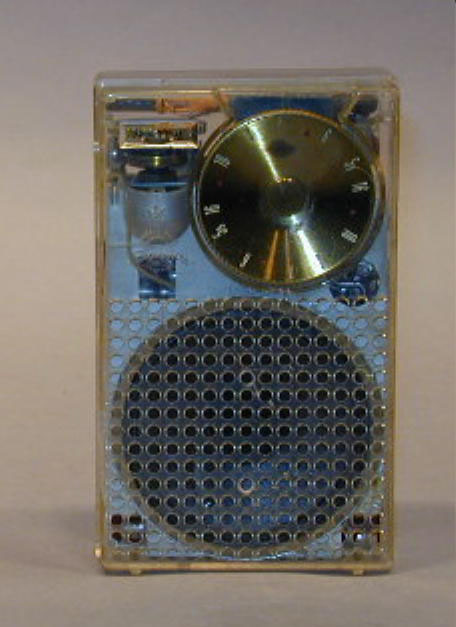 The initial production radio had S/N 1001. (See Z00409.) 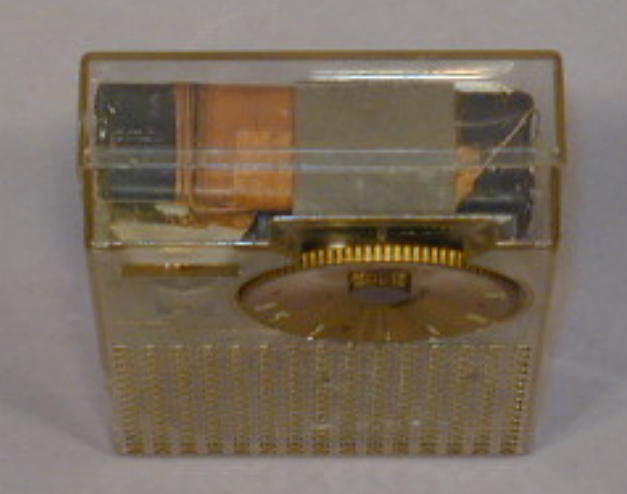 Some of the early radios were put in clear cases for demonstration purposes. 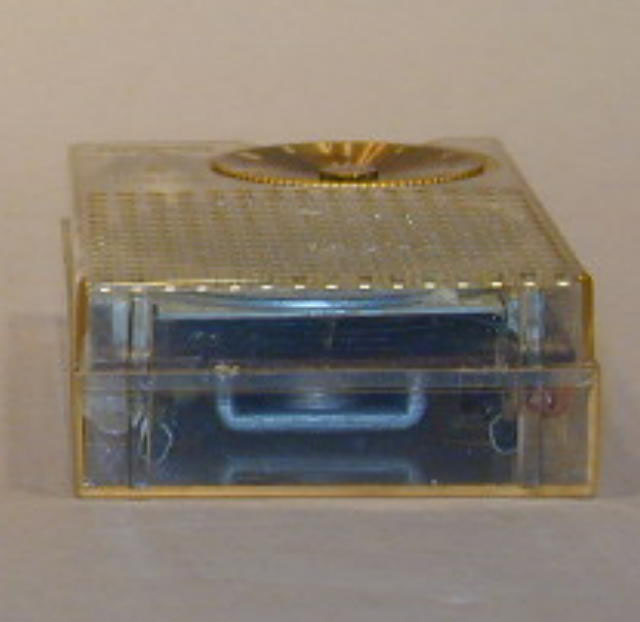 The item was part of the original S/B Lobby display and the 50th Anniversary exhibit. See Related Material for additional information. Related material in collection: G00107, Z00109, 409, 411.